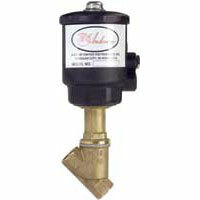 Angle Seat Valve - Bronze NPT save space while maintaining flow rates. Can be mounted in any position. Standard visual indicator shows open or closed position. Can be used in most gas, liquid, and steam applications. 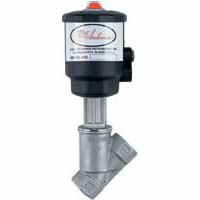 Angle Seat Valve - Stainless Steel NPT saves space while maintain flow rates. Can be used in most gas, liquid, and steam applications. Designed for special applications that require flow in both directions.